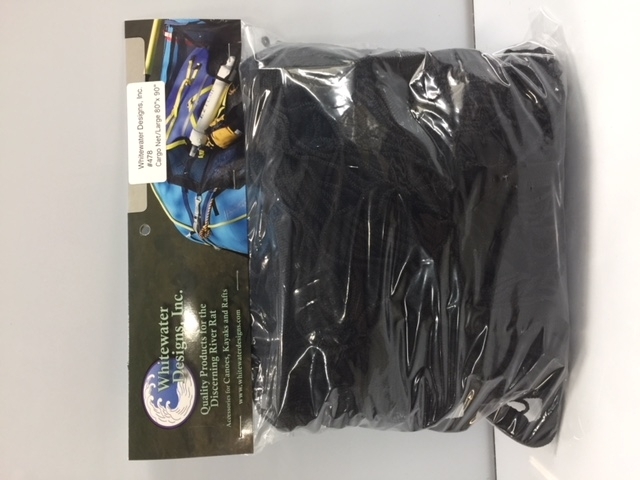 Product Catalog > Product Catalog > Cargo Floor & Net > Cargo Net > #477 - Cargo Net Small 60" x 80"
#477 - Cargo Net Small 60" x 80"
Strong UV-protected nylon net secures gear on your raft's cargo platform. Netting is 2" woven single plane construction, bordered with 1200 lb. No. 6 cord, finished with 1-1/2" webbing. 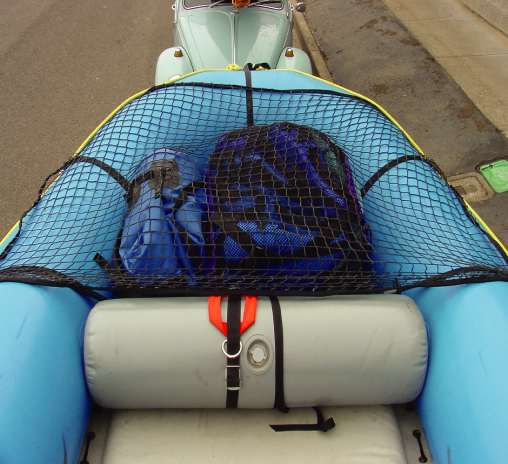 Attach to your raft with our cam buckle straps. Suspended by 4 hooks it can be used to hang gear to dry (life jackets, wetsuits, booties, etc.). Jump to... #477 - Cargo Net Small 60" x 80"#478 - Cargo Net Large 80" x 90"